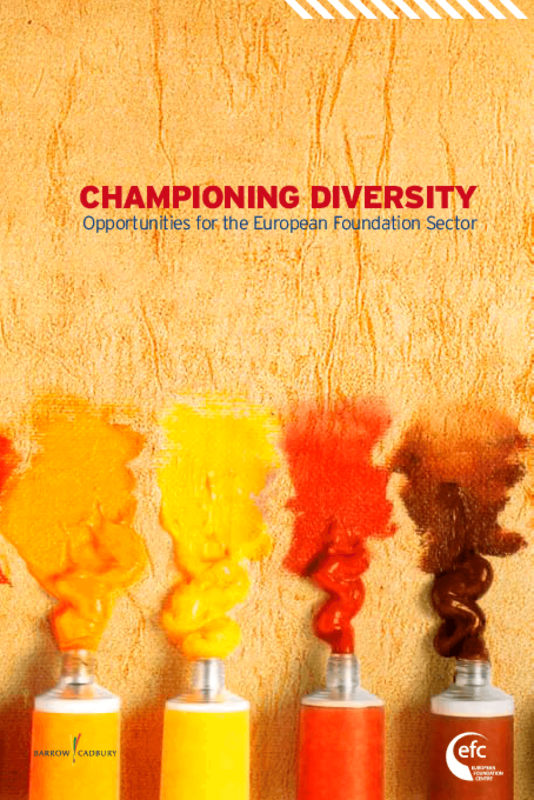 This publication, focused on what foundations should be doing in order to implement affirmative policies that actively foster inhouse diversity or address diversity in grant-making, underlines the level of commitment of the EFC (European Foundation Centre) to the necessary efforts towards the mainstreaming of migrants and people from ethnic minorities within foundations' work. By pointing out examples and best practices from different foundations in Europe, the DMIIG (the European Foundation Centre's Diversity, Migration and Integration Interest Group) understands that individual foundations and the EFC can lead by example, as case studies in this work underline, and encourages partner organisations to multiply their efforts in the field, for example through pilot projects or other initiatives. Copyright 2009 European Foundation Centre (EFC).